On March 28, Syrian rebels and jihadi fighters announced that they had captured the city of Idlib, posting pictures and videos online that showed them in control of government buildings and other landmarks. This followed a lightning offensive of several days, by a coalition of Sunni Islamist militias that assaulted the city from several directions. After the security forces of President Bashar al-Assad violently put down protests inside the city in 2011 and 2012, resistance had been relegated to the countryside. With most of the surrounding Idlib Province captured, rebels had in the past year slowly but surely increased pressure on the city itself. They repeatedly demonstrated their capacity to block access roads as a way to force concessions and prisoner exchanges, which must have been a demoralizing experience for pro-Assad forces inside the city. In December 2014, the bell tolled for Idlib City, when the opposition overran the long-besieged Wadi Deif base, freeing up hundreds of crack rebel fighters for new campaigns. At the time of writing, the situation remains unstable and it cannot be ruled out that Assad’s forces will launch a counterattack from areas still under their control. The government-run SANA news agency only speaks of “repositioning forces” in the southern neighborhoods of the city. Still, the apparent collapse of government defenses in Idlib has punched a gaping hole in the government’s narrative of approaching victory and boosted the opposition politically as well as militarily, spelling trouble for Bashar al-Assad. Out of thirteen provincial capitals, Idlib is only the second to be lost to the government, after the northeastern town of Raqqa was captured in early 2013. And like Raqqa, Idlib is a regional center rather than a major city – it would not fit on a top-five list over Syria’s most important cities. But the blow is heavy nonetheless. The government remains much stronger than any rebel group on the national level, controlling perhaps two thirds of the population. Assad’s semi-cohesive central leadership and his control of a fully functional air force makes him Syria’s by far most powerful political actor, but his regime suffers from serious shortcomings nonetheless. It lacks enough reliable troops to conduct multiple offensives while also controlling its current territory and has been forced to farm out sensitive security tasks to local militias and Iranian-backed Shia Islamist foreign fighters. Meanwhile, the state-run economy is withering, with a currency crisis and increasingly debilitating lapses in the fuel supply system and electricity production. The falling oil price is likely to cap Russian and Iranian support at levels too low to sustain the current ambitions of their Syrian ally. In short, it seems that Assad is still trying to bite off more of Syria than he can swallow, and the recent defeat in Idlib underlines how dangerously overstretched his regime has become. The Islamic Emirate of Idlib? The fall of Idlib is not without its risks for the rebels. Previous attempts by opposition groups to govern urban areas in Syria have been disastrous failures. Of course, a major reason has been Assad’s systematic bombings of civilian areas and infrastructure, which have killed and maimed tens of thousands of Syrians and forced millions out of their homes – a treatment now likely to be extended to Idlib. Even so, the rebels themselves are far from blameless. They have by and large failed to produce anything other than chaos and economic collapse, with what they refer to as liberated territory now suffering from chronic infighting, predatory criminal bands, and the brutal imposition of ultra-conservative Islamist norms. Most infamously, Raqqa has since its capture in 2013 transformed into a local capital of sorts for the self-declared Islamic State. In the case of Idlib, many different groups were involved and all of them are hostile to the Islamic State, but the offensive appears to have been spearheaded by jihadis from the al-Qaeda-aligned Nusra Front and the large Islamist faction known as Ahrar al-Sham. While there are important sources of friction between these two groups – Ahrar al-Sham refuses to endorse al-Qaeda’s anti-Western attacks and is seeking local allies to avoid being swallowed up by the Nusra Front’s increasingly bold bid for hegemony in Idlib – they are both overtly anti-democratic, hostile to religious minorities, and committed to establishing a Sunni Islamist theocracy in Syria. There is already great concern in the United States and Europe over the riseof jihadi groups in Syria. Now, early headlines in the Western press speak of a city that has “fallen into the hands of al-Qaeda,” which is hardly the kind of coverage that Syrian rebels were looking for. This will be a serious problem for the rebels in the coming weeks and months. If Idlib becomes the scene of public floggings and streetside executions of “immoral” women, such as the Nusra Front has committed elsewhere in Idlib Province, or if it collapses into a turf war between rival groups, it would not only weaken more moderate rebel factions – it would also provide Bashar al-Assad with an opportunity to turn military defeat into political gain. Militarily, however, the Idlib defeat puts Assad in a difficult spot as he needs to foresee the next rebel assault and deploy accordingly. 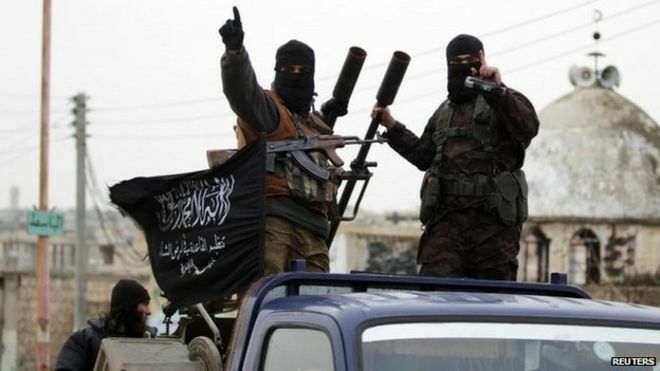 Rebels already controlled most of the Idlib Province, but some pro-regime pockets remained apart from the provincial capital – notably the twin Shia towns of Fouaa and Kefraya, near the Sunni Islamist-controlled town of Binnish to the northeast of Idlib City. On March 27, Ahrar al-Sham announced that it had cut the last remaining supply route via Idlib City to Fouaa and Kefraya, meaning that these towns will now have to sue for peace with the rebels or risk destruction and perhaps a sectarian massacre. To the south of Idlib City, the government controls a string of towns in the northern Jabal al-Zawiya region, the largest being Ariha, that served to supply forces inside Idlib. If that is no longer an objective, the regime may decide to abandon some of them to focus on defending territory of larger strategic value. However, at the other end of the road controlled by Ariha, we find the city of Jisr al-Shughour which connects the Idlib province to the Sunni-populated and rebel-friendly northern areas of Latakia Province. While Jisr al-Shughour is of little value in itself, Assad will presumably be reluctant to allow for increased pressure on his strongholds on the Alawite-majority coast. According to some sources, the government transferred its provincial government offices from Idlib to Jisr al-Shughour already two weeks ago. South of Jisr al-Shughour lies the Ghab area of Hama, a heavily irrigated agricultural plain that butts into the Idlib Province alongside the Alawite Mountains. This religiously mixed powder keg has seen fierce fighting and may be of particular value to some rebel groups – for example, many of the founding fathers of Ahrar al-Sham hailed from villages in the Ghab. It is also possible that rebels from Idlib could move further south past Khan Sheikhoun and the battleground town of Morek, thereby attempting to put pressure on Hama, Syria’s fourth-largest city. It is a Sunni stronghold that has remained under Assad’s rule but could prove difficult to control once rebels gather critical mass on its outskirts. A rebel advance on Hama would certainly force the army to concentrate forces there, even at the expense of other fronts. To the east, there is another very attractive target: the Abu Duhour air base. Capturing it would not only hobble Assad’s air campaign, it would also open up an area of coherent rebel control from the Turkish border to the desert south of Aleppo. In so doing, the rebels would also expose Assad’s only remaining supply line into Aleppo, a desperately improvised logistics trail through the rural towns of Khanaser and Sfeira that would be tremendously difficult to defend against multi-pronged attacks, especially if air cover falters. Under that scenario, the rebels could turn the tables on Assad in Aleppo, threatening his control over the city by cutting it off entirely from the rest of Syria. At the end of the day, however, Idlib City is of limited value in itself. It is possible that the regime will counterattack or that none of the scenarios sketched out above will materialize. 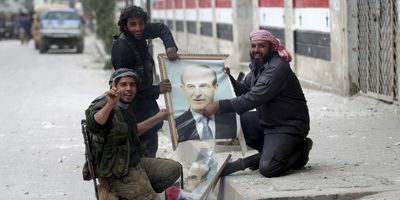 But considering the military and economic resources invested by Bashar al-Assad in its defense over the past four years, the loss of Idlib would undoubtedly signal to many of his supporters that the government’s current strategy is untenable in the long term. — Aron Lund is a freelance writer on Middle Eastern affairs and the editor of Syria in Crisis, a website published by the Carnegie Endowment for International Affairs. Idleb is under nusra control, this makes it another Raqqa. It is certain that idleb if nusra is not kicked out will be a target for future military attacks by the Syrian army and probably the US also. I am not sure how this unfortunate development will bring Assad to the negotiating table on turkey’s terms. Remember how the capture of Raqqa improved the regime’s political standing. Unlike aljazeera where most of Syria’s oil is, Idleb’s importance is its location not its natural resources. For Turkey to translate this into a political win rebels have to prove that they can threaten neighboring provinces and reverse recent gains in Aleppo. Those who celebrate the temporary loss of Idleb want us to forget who the new masters are: a terrorist organization linked to alqa’eda. Employees at orient tv station were filmed dancing and offering sweets, the party included an uncovered girl who will be flagged if she dares to enter idleb now. it will not be long before the euphoria ends and YouTube videos start to emerge showing how nusra handles their newly earned emirate, within hours of controlling the city nusra terrorists started rounding people up and executed members of families accused of dealing with the regime. Dear thawrajiyyeh, enjoy the new Raqqa . Imagine if (stupid) Assad stepped down 4 years ago and let his Sunni vice president take charge…nothing of this would have happened! Now most Syrians want to get rid of Assad at any cost…They even don’t mind if devils or Aliens come to rescue them. Once again we see that democracy has no role in Syria. The fight is between the old secular dictatorship or a new religious dictatorship. No amount of weeping and gnashing of teeth will change that. Ask yourselves what is in the best interest of the West. Assad or al-Nusra/IS and then pick the fraction to support. Nice claim that everything would be wonderfull if Assad went early but I cannot see anything which backs up you faith in a different course of history. Look at Libya; minimal bloodshed and destruction in overthrowing Gaddafi and where are they now? Having seen more than 4 years of destruction and carnage, most Syrians only hope the killing in this intensifying fighting will not lead to another massacre, a routine celebration of the rebels’ triumph in every non-Sunni villages they infest, including some Ismaili’s in Hama and Hom’s countryside this month. Of course we have not heard those atrocities mentioned by the human-life-loving West and its associates. Facing the Islamists and their voracity for killing infidels, all minorities in Syrian are left with no other alternative than fighting for survival. No matter how the “opposition” spin that fact and keep painting Assad as The devil, Syrians will adhere to the regime for now and unforeseeable future. Yet, we hear it again and again that the Sunni are the victims of this war, victims of Western Imperialism in the past and of Assad’s dictatorship even after four years of blooding war has killed more people on the pro-regime side. The opposition never stops attempting to convince the world that the Sunni, the dominating sect of 70% of Syrian population, have been suffering sectarian discrimination and malevolence for decades. The reality is that the Sunni has never been monolithic, incessantly fighting against each other for power and dominance; the chilling fact is that when eliminating the infidels, the infighting Sunni becomes a ruthless killing machine. Syria is in ruin and keeps sinking without the bottom in sight, yet some ludicrous nutcases still dare to peddle their sacrosanct democracy trampling human lives. Could you try not to taint secularism by using it as a qualifier of dictatorship. In my book “secular dictatorship” is an oxymoron, because secularism among other things, requires that every citizen has equal rights, which is obviously nonexistent in a dictatorship. You are entitled to your own view of secular. I follow this. Assad cares only about loyalty to him. Not your religious background. Therefore the present Syrian Minister of Defence is a Sunni, Fahd Jassem al-Freij. And the former assassinated Minister of Defence was Dawoud Rajiha, a Christian Greek Orthodox. How many Greek Orthodox are there in al-Nusra? Some props are made of cardboard and some props are made of bought people dressed up with military uniforms and false medals. These usually start their day by shoe shining the shoes of the sect’s sergeants and intelligence officers. More importantly the dollar is above 275 and it seems that some did not read the article. It is an attrition war; the regime is now engaging young women and in this it shows inventiveness but also lack of troops. As for the minorities they had more than 50 years to build a secular civil society but they clustered together into a mafia whereby their mantra is to never allow for such a society to see the light of day lest they lose their privileges. Perception is important as well. When H Zoumeira goes on lamenting the Yemen events he and his group increase the perception that this is a sectarian war. Ibn T has taken hold of the minds of the sect and all minorities. They only see Ibn T under every stone and behind every tree. By the way go watch the dungeons of the regime in Idlib after they were taken over and filled with executed prisoners. Now it seems that we have some lamenting the absence of the West when a few months ago it was the West causing all of the ills of Syria. But harkening to the days where the West or Russia comes to “save” the “minorities” is finished. Afghanistan taught the Russians that it is easy to swallow but impossible to digest and Iraq taught the US the same. The West is out of the ME as the Yemen events show. Foolishness and sectarianism had done the impossible: uniting the Arab Sunnis. The ongoing conflict in Yemen has been set aflame, putting the stability of the whole Middle Eastern region to the test. The winners would be no where to be found in the Arab or Muslim World who will lose their best sons in this war. Traditionally, Western military contractors that have already succeeded in flooding the region with guns would be the ones to pop champagne bottles. Israelis will also have a big smile on their faces due to the fact that the opposition within the Muslim world will only strengthen Israel’s regional position. Do you sprinkle dust in the eyes? Well considering how badly the secular governments of Egypt & Algeria have done over the last 50 years in building a secular civil society, why do you expect anything different elsewhere? Egypt and Algeria what are those? Never heard of those regimes. I know of Egyptian mafia and Algerian mafia. These are not countries they are families with flags. As for the minorities in Syria they have had Fares Khouri as one of the first Presidents and the Riad Solh in Lebanon gave the Maronites significant posts and guarantees after independence and a formula to distribute power and the end result a persistent ongoing civil war, first with weapons and now with economic and demographic means. The young in Lebanon are fed up with the sectarian system and the demands for civil marriage indicate that the young are abandoning religion just as the majority of Iranians under 50 are atheists. The sects have been in power for more than fifty years and they have been locked into Ibn T’s mental straight jacket since their very inception and never advanced one iota forward. In this they are competing with the fanatics of the mainstream in being obtuse and locked up in their brains. No news from manar or cham press or sana or anyone else on the events on the ground. Go ahead and have your state. Dozens of people, including two women, were released from Idleb prisons after the city was taken over by Nusra, few were found dead after being shot, presumably by regime security forces. Using history as a guidance, many of those prisoners should not be in prison in the first place but others may be rapists and common criminals. Islamist thugs assume that every prisoner held by their enemy is a brother and is innocent, later on many of those prisoners will join armed thugs militias or go back to their old criminal behavior. As for those who were only guilty of being against the regime I say congratulations, freedom is precious but be careful because the new masters in town are actually worse that the old ones, the next few days or weeks will prove my point. Syria may not be fixable now because there are very few good people fighting for it, most are fighting for power and money or out of hatred to others not out of love for Syria. Feel free to weep over their great abilities of creating secular societies. As for Lebanon. Honestly, they are as sectarian as the Syrians. They just had a very bad civil war in recent memory which keeps them from using weapons on a large scale. In a generation or two they will no doubt be killing each other again. with your prayers dear Anglo Saxons!!! Today Idlib, tomorrow Aleppo, next is Damascus. With patience victory seems imminent; the question is: are you part of it. From the comment section of an ea article. Dangerous move? Assad may now order massive BARREL + CHLORINE gas bombing of Idlib due to this. Perhaps Turkey can guarantee Idlib security? Birth of a No Fly Zone? I truely enjoy the black comedy posts by Islamists and pseudo seculars on the blog. “warn” about the impending use of chlorine gas in Idleb. Testimonies about atrocities committed by “moderate rebels” in Idleb are starting to come, I did not expect less from the head cutters who burned Idleb national hospital and raised Nusra flag, not the famous “revolution flag”, on the main municipal bldg. making it clear to Thawrajiyyeh that they are not welcome in the new Emirate !! It’s time to mow the lawn in the Kingdom of Zio-Saudi, and especially to mow the shaggy highly toxic lawn in the palaces of Riyadh. The minorities in the Middle East are secular no matter what Observaaaar say. The minorities in the Middle East want and will help anyone who is willing to build a secular society, where they have rights. Let the world protect the minorities of the middle east. The Sunni leaders of the attack against the Houthis in Yemen are a joke at best. Let them go and spend this money to improve job opportunities in their countries. So Alan, you are saying it would have been better to leave the secular dictator Saddam Hussein in power? I would agree on that, but unfortunately American extremists thought it better to bring “democracy” to Iraq. Iran is offering Yemen Houthis’ head in a silver plate and instead the Neo-Persian Empire will take Syria, Irak and Lebanon for the long term. Idleb and Bosra given by the regime to FSA may be part of the deal, otherwise I would not understan how Assad loses them before the great Obama-Iran deal. Tomorrow 31st of March will be a black day for the arab’s history (all muslims and christians). Iran will be the new master of the Middle East, the dog of the US, serving the US and Israel interests in the region. For the christians who stand 500 years under sunni rule now it will be the real start of the end. If the United States want to cleanse the world from the bad systems, they should start cleansing from themselves ! The link, which I mentioned, shows the size of the tragedies that are directly caused by the United States to Iraqi entity. And so forth all tragedies of all countries in which intervened by the United States. Interestingly, in the matter that the perpetrators of such tragedies are today in their homes enjoy the luxury without any punishment or trial! The United States is not the supreme God. Today, the United States lacking morals state. Thank god that the remaining time of the US influence is counted and limited. The really big question here is: is this the ‘big one’? With 10 Arab states all playing a part in this game of “bomb democracy out of the Middle East”; the Saudis ready to send 150,000 troops into Yemen, and Egypt happy to join the fray; Iran supporting the Houthis; US war ships stationed off Yemen; Russia and Iran not just suggesting but “demanding” that the bombing stops; and it all happening at a time when a US “nuclear deal” with Iran is supposedly about to emerge while Israel is chomping at the bit to bomb Iran…could this be the fabled spark that has long been prophesied to ignite the ‘tinder box’ that the West has deliberately made of the Middle East? A Saudi led coalition of the subordinates in Yemen. Saudi Arabia lent $1.5 billion to Pakistan last year  to help Islamabad shore up foreign exchange reserves. Sudan’s two largest creditors are Kuwait and Saudi Arabia. Sudan owes the Kuwaiti government roughly $6 billion and the Saudi Government over $3 billion. …25 percent of Sudan’s crippling $35 billion debt burden. Gulf Arab allies pledged a further $12 billion of investments and central bank deposits for Egypt at an international summit on Friday [14th March 2015], a big boost to President Abdel Fattah al-Sisi as he tries to reform the economy after years of political upheaval. Morocco, along with Egypt, is one of the closest allies of the Gulf Cooperation Council countries (GCC) in North Africa. Four countries from GCC – Saudi Arabia, Qatar, Kuwait and UAE – pledged $5 billion aid to Morocco from 2012 to 2017.. The Jordanian government signed on Tuesday [February 4th 2015] five financing agreements (grants) with the Saudi Fund for Development (SFD) worth $176 million as part of the Saudi $1.25 billion-commitment within the Gulf Cooperation Council’s (GCC) $5 billion grant to finance development projects in Jordan. C O A L I T I O N ! ! ! ” moderate rebels’ in Idleb destroys a statue for Ibrahim Hanano one of Syria’s independence champions. Also, the famous liver eater shows up in Idleb !! If minorities are secular and they have been in power in Lebanon and Syria for the last 60 years how come they did not build a civic based secular society whereby citizenship is not based on creed. They failed because they wanted to remain as minorities and in reality if they were to be fully secular they would cease to be a minority they would become equal and I repeat equal citizens in a secular society. But alas their very identity is one defined by Ibn T whereby they do not see themselves except through his prism and the others namely the Sunnis are also viewed as followers of Ibn T.
The minorities are a joke and their failure and insistence on remaining defined by Ibn T will spell their doom unfortunately. I am not sure why you distort my post name? I must have hit Ibn T’s nerve. I hope the day will come when the minorities will have their independent states to show us the way. Graham E. Fuller, former CIA station chief in Kabul, has a few observations about four myth in relations to Yemen. maybe ghufran is right. non syrians should be banned. poul get out. Breaking: US and IRAN delay once again the nuclear deal while many arabs in the street think about them “fxxxx them all”. SOHR contradicts Aljazeera and other Bedouin media outlets on the counter attack in Idleb and surrounding areas. According to SOHR 147 of those who died were armed rebels. Aljazeera also claimed that Althuwwar (opposition rebels) attacked Al-Mab’oujeh in Hama, SOHR reported that it was Isis that entered town and slaughtered dozens of civilians before they were pushed back. Again it is clear who is fighting in Syria and t is crystal clear that ” moderate rebels” only exist on Facebook today. Nusra and Ahrar alsham decided that Ibrahim Hanano (a national champion of Syria’s independence ) was an infidel and they toppled his statue in idleb amid the guilty silence of the Turkmani opposition council that is still waiting permission to enter Idleb. Thawrajiyyeh media strategy (and threir cheer leaders): let us keep lying hoping that somebody will eventually believe us !! Turkish mafia government simply wants another Raqqa in Idleb at the expense of Syrians. It was the Saudi terrorist Al-mhaysni, not a ” moderate rebel”, who is now the face of the armed thugs who occupied Idleb. Syrian Army Capacity pummeling NUSRA ALQAEDA positions clearly supported by Saudi Arabia, Qatar, Turkey and the west in Idlib city…..
An airstrike on Yemen’s Red Sea port of Hodaida, conducted by Saudi Arabia and other Sunni Muslim states destroyed a dairy factory on Tuesday night. At least 37 people were killed and more than 80 injured, TASS said, citing a report by Al Mayadeen television. Medical sources said 23 workers were killed, Reuters reported. The attack appears to be one of the biggest cases of civilian deaths in a Saudi-led campaign against Houthi militia. US and Iran have already reached a basic “nuclear deal” deal. They are just doing some more theatre to give time to Iran and Assad to arrange their next steps in the war stage. By the way calling it a “nuclear deal” is really stupid since what they are really negotiating is the role Iran will play in the future Middle East. How they will control Syria, Iraq and Lebanon and dominate all their christian and sunni populations. Who will be ethnic cleansed, how many millions will remain as refugees for the next 50 years or more following the palestinian scheme, how Iran will sell oil in USD, how Iran will stop destabilize Afganistan, Yemen and so on… and in a few words how Iran will be the new american police in the region of the crescent. The minorities in the Middle East are the ones who built whatever secular institutions that exist in the Middle East. The Majority of Sunnis are against secularism and had fought it for a long time. So when Sunnis like Observaaaar comes and deny all of this because he hates the Alawites and Bashar al-Assad, one has to think about him as a joke. Ibn Taymiyah is important, have anyone read him lately? Sorry to tell you that Iran and America are going to be friends. Iranians should get rid of their Mullahs and get back into controlling the gulf. Iran also should start helping its brothers the Shia of Saudia Arabia get their rights, especially when the oil is in their land. Don’t you think that the Shia’ of Saudi Arabia need their oil more than the Saudis. Can’t you see how much Saudi Arabia is wasting bombing the Houthis? Imagine if they had given that money to the poorest of the poor: the Yemenis. The Saudis are wasting that wealth because they did not work hard to get it. They stole it from the land of the Shia. One family steals the wealth of millions. Same thing like our country Syria. Remember all of this chaos my dear Syrian brother and wish for peace. Imagine this money spent on war in our country Syria was spent on medicine, or as loans to small bushiness…imagine? Sorry dear brother if I am talking to you about some complicated matters…I know you can not understand beyond Iran and Shia and Alawites and cursing…. Lol, yes, because Gadaffi and Mubarak weren’t Sunnis, right? It gives me no pleasure at all to remind the boneheads out there that ” I told you so”.iran and the West have given the finger to KSA and may be Israel and decided to pursue a final agreement. It is not a done deal but I see little chance of either party backing off unless the ruling mafia in Israel and their servants do something stupid in the next few weeks-months. Meanwhile Arabs are busy licking their wounds, their butts and other people’s butts. What secular institutions? where are they? In Lebanon? or in Maliki’s Iraq? or in Assad’s Syria? Or was it in Saddam’s Iraq? Remember the Sunnis were a minority in Iraq. The regime is an abomination. However, a generalization of hating the regime with hating a sect is nothing less than despicable. But is to be expected as a projection of the hate one has unto others. One assumes that all hate the same way and therefore if the illustrious historian in residence hates he assumes all hate likewise. Despicable indeed and proof enough of a sick mind wrapped in Ibn T’s ideology to the very core. According to Observaar the minorities in the Middle East do not want a secular society and would rather the rule of the Sunnis…. According to Observaar: the minorities in the Middle East spread backward ideas and never want to be modern. Ibn Taymiyah is drawing the map of the Middle East, can people like Observaar, the detractor, challenge this? Reminder: The minorities of the Middle East taught people like “observer” a lot. A nuclear treaty between the West and Iran benefits everyone in the Middle East, including KSA and Israel. It is not a zero sum game. The USA still supports KSA in Yemen and still supports the Syrian people in their quest to get rid of both the Syrian regime and the terrorists. During the Cold War, the USA signed several agreements with the Soviet Union but still worked on limiting their influence around the world. The same will happen here. The deal is good for the Iranian people who deserve better than what the leaders who stole their revolution brought them in the past decades. Beating around the bush will not get you off the hook. My questions remain of course unanswered and you keep designating the other according to your fixed ideas. Atheists on Syria Comment unite for Ibn T is coming after you. He has been reincarnated according to the ideology of the local sect into non other than our historian in residence. 2003 (the invasion of Iraq) till now (Saudi aggression against Yemen). Every time you hear about advances made by terrorist groups look at those who helped destroying existing local authorities and security (as bad and corrupt those authorities were) only to be replaced by terrorists. The biggest lie of the so called Arab Spring is the myth that Arabs were ready to get rid of their dictatorships and replace them with moderate modern governments. Sunnis like this guy Observaaar always doubt the secular intentions and work of the minorities in the Middle East. Sunnis like this man Observaar does not see what is happening to the minorities in the Middle East, and what are their immediate fears. Someone tell this guy that it is them who had been killing the minorities of the Middle East till now it is almost empty of them, the original inhabitants of the land, as many say…. No…he wants to put sticks in their wheels and doubt their intentions, while turning a blind eye to what is happening to them on the ground. This “observer” had called once before to kick every Alawite out of Damascus. The same guy, his family had came to Syria as servants to the Ottomans and participated in the slaughter of minorities in Syria like the Alawites, Druze, and many others. His family implemented the words of Ibn Taymiyah. Look at him now, he can not even write the name of the man who is the backbone of his history. Yes: Ibn Taymiyah drew the lines for the Sunnis of Syria, and is drawing it now. No matter ho much many try to deny it, Ibn Taymiyah is the WORD. Ibn Taymiyah rules are what is drawing the map to any talk with Bashar al-Assad the Alawie, or the Shia, or the Houthis…or…….It is Ibn Taymiyah’s works that are controlling the works of Saudi Arabia, Qatar….etc.. This is a secular institution supported by a minority man: Hafez al-Assad. I want Sunnis like this man observer to tell me what is the future of women under al-Nusra and ISIS, AHRAR al-Sham, Jund al-Aqsa, Jund al-Sham, Ansar al-Din, and Jaysh al-Islam who are the ones controlling Sunnis inside Syria? Saudi Arabia sponsoring terrorism, financing, assisting, and providing with arms outside its territory around the world in front of all the international organizations and eyes of the officials of all small and big countries around the world. And everyone is watching! Photos and videos from the area show fighters loading crates onto pick-up trucks. According to the activists, they contained ammunition, guns and communication devices. Pictures show crates on a sidewalk, with a grey parachute canopy & strings draped across the street and over nearby buildings. I still do not have any answer to the question. Secular institutions under Hafez? Wait if this is a joke it is in very bad taste. Hafez my foot Assad secular indeed. Again I reiterate that the minorities want the majority to be secular while they remain minorities. They cannot have it both ways. Secular or sectarian. Not a buffet religious picking what one likes and dislikes and Not a buffet secularism where you choose who is secular and who is not secular. I think the women in the new ME have now become victims of the Iranian Islamic revolutionary zeal and the Saudi Wahhabbi religious zeal. Now if I am to pay for the supposed ills of my family, I wonder how many generations of the Assad family are going to suffer the depravity of the father. Now remember and read it out loud: I am an American Atheist but I do have an observation of extreme secularism and Ibn T Kool Aid drinking people. Go play another one: an atheist …hahaaa.. how come you think, talk and act like Ibn Taymiyah? How come you repeat the same phrases of Ibn Taymiyah? If you laugh, if you cry, if you bark, if you meow…whatever you want to say: The Women’s Union is a secular institution it served hundreds of thousands of women trying to better their lives. What are the ideas of your idol Ibn Taymiyah in this matter?